Read from YELP! what our clients have to say - Click Here to read more! Doug and Shelby Dart are the most professional, caring and helpful people my husband and I have met in this business . They not only care about their customers but also their community. Dart Realty & Property Management makes a positive impact on so many! Thank you Darts! Completely met Doug by accident. But boy did he change our lives. He showed us how to ensure positive cash flow on a rental we were struggling with. He was the realtor for a rental we were looking at and he quickly became our realtor and property management company. He and his staff did an amazing job in every way. Always accessible and helpful. We were very lucky in finding him and would go straight back to Dart Realty & PM if we move again. Thanks again Doug! Great company, ethical and honest. I recommend them to everyone for all their real estate needs. Having property management and real estate under one roof is a great asset. I've had a not so perfect house buying experience... Which is ending today when Brian, my realtor, hands me the keys to my new place. I just have to say to as many people as possible... Brian Ferguson has been there with me going above and beyond for 6 months as I searched for a house!! He was available always, showed me a thousand houses and encouraged me when I became frustrated. I have an FHA loan and it made it difficult to find a house in the area I wanted and the style I wanted. Brian was great at helping me to stay realistic and focused on the most important things. At the same time, I think he really got what I wanted in a home. I recommend him a million times over!! The moment you walk into their office, you get what this company is about! Friendly, courteous, and willing to go the extra mile. Doug Dart has the patience of an angel, and is willing to explain complex transactions and processes in a snap. Shelby has created a team and environment that not only functions like a well-oiled machine, but exudes warmth and provides fantastic service as well. The company these two have built, is made only better by who they are. We moved from out of town and Doug Dart and his team made looking at properties and assessing which ones we should view on our trips into Fresno, super easy! We were actually able to pick our dream house out on the first visit! They listened to what was important to us and stayed in contact through every step. Doug even pulled some tight moments together for us as we were trying to organize a simultaneous close on our old home with the new home. It is a year and a half later and we are still as in love with our home as wee were on our first offer! I would highly recommended this team for any of your real estate needs! I really appreciate all the hard work and effort my PM Brian Ferguson has done to get my property stabilized and positive. This was after a very bad experience post closing from the agents (not Dart or Sayland) and other parties involved in my purchase literally dropped the ball and started off which was supposed to be a turn key, fully tenanted and smoothly running property - a nightmare from the beginning. It took a couple of years - but Brian and Dart have it all going well now and I trust and feel confident in them. Brian even takes the effort to get to know all the tenants individually and knows everything about the property that he should. Being an out of country investor, I really have to trust and rely on them. When I was able to finally visit the property in person last year - the tenants spoke so highly of Brian. I really feel a partnership and teamwork with Brian / Dart . I will definitely consider using them as my agent / broker also when I buy another property in the area, not just as a property manager. I bought my 1st home with Doug's help just over 2 years ago now. Dart Realty were professional, efficient and just plain fun to work with. I still recommend Doug to all of my friends because he is so knowledgeable about the industry and about the construction of a home. Thanks again Doug! I had the pleasure of have Doug Dart as our agent for our recent house search and purchase. He listened to everything we wanted and didn't want ( it was a lot) and was able to find us our perfect house. In this current housing market there are usually multiple offers on houses. Doug found ways to make our offers more appealing, most were out of the box ideas and they worked. I am someone that likes no bs and doesn't like the "salesman" tactics. I was very happy to not see any of that in doug, it made things very easy!! Anytime we had questions he answered and any concerns he dealt with. He is even there for us after our house closed. If you are looking for a cool chill dude that will listen and work for you and not his commission, then doug and dart reality is for you. You honestly can't go wrong with a company that listens, is honest AND they are very involved in their community!! I just recently rented from their property management business and my property manager was on time, professional and extremely helpful in helping me get my first place. I feel lucky to rent from them. I’m looking forward to establishing myself, and when it’s time to buy, they will be my first call. Dart Realty listed and sold my house fast. Excellent service. We got an over the asking price just three days after it went on the market. Highly recommend Douglas Dart. They are the best at what they do. I used Dart Realty for the sale of my home. They were professional and extremely helpful. Their communication was top notch and made me feel completely comfortable with the whole process. I would highly recommend them! 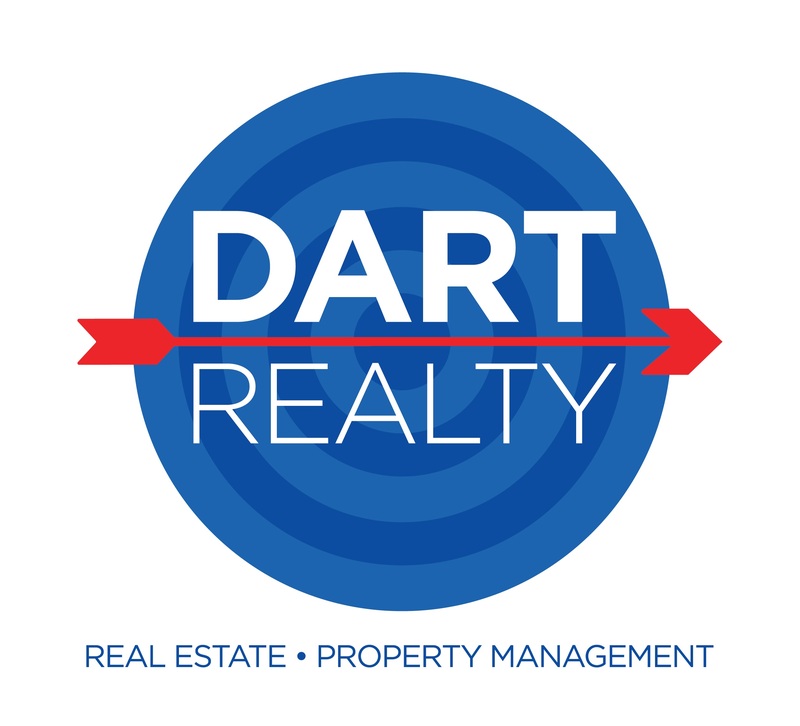 Whether you are looking for property management or home purchasing or selling, Dart Realty and Property Management will provide you with the best real estate professionals who can help meet your needs. I have had the privilege of meeting owners Shelby and Doug Dart who have the drive and compassion for success. This proven leadership is just the cornerstone for a seasoned staff. Dart Realty has proven this by adding experienced & qualified agents who are perpetually mindful of what it means to expand her leadership qualities to a staff dedicated to positive experience.